Nepal is the ultimate destination for finding a meaningful, rewarding volunteer experience, but do you REALLY know anything about the country or its culture? 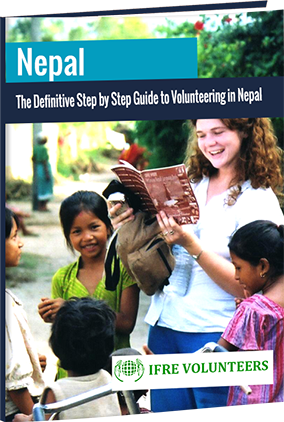 Volunteering in Nepal will be a life-changing experience, but make it a GOOD experience and not a nightmare! In this free 26-page booklet, we’ll go over everything you need to know before you get there. How to choose the best volunteer program that suits your experience. All about passports, visas, and vaccines. What you need, what you don’t. Important cultural norms. Save yourself from embarrassment or worse! What to pack, what to wear. Important checklists before you leave and when you arrive. Which countries and volunteer programs are you interested in?